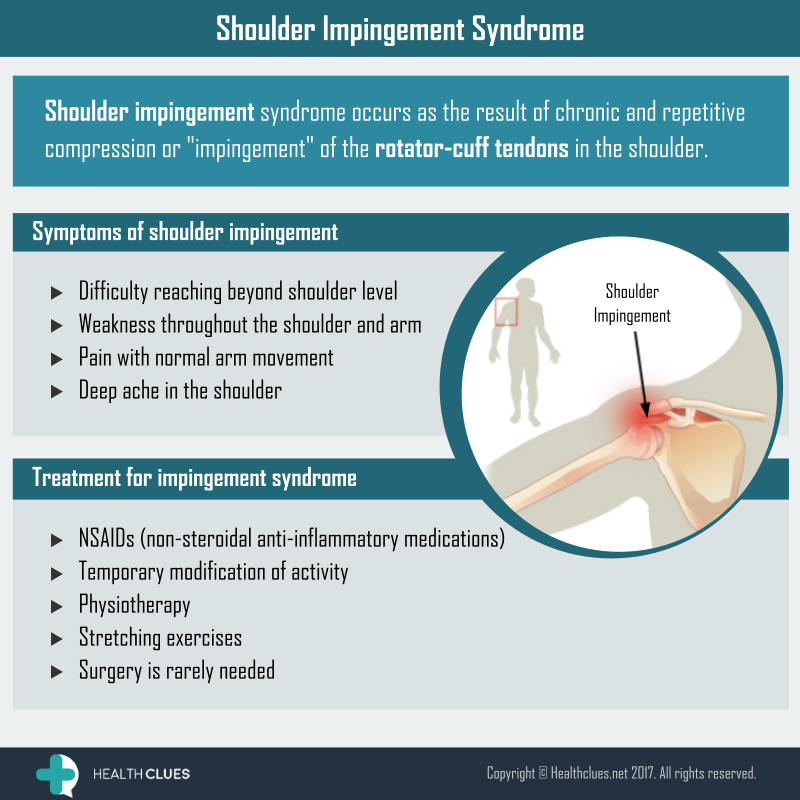 Shoulder impingement syndrome occurs as the result of chronic and repetitive compression or “impingement” of the rotator-cuff tendons in the shoulder. General, Infographics frozen shoulder, impingement, impingement syndrome, Shoulder impingement syndrome, Shoulder Injuries, shoulder joint pain, shoulder pain. permalink.